The Fashion Race Course games were played between All-Star teams (pick nines) comprised of the finest New York-area players versus the finest Brooklyn area players. The games were played at Fashion Race Course near Flushing, in Queens, New York and represented the 1st real All-Star Games. 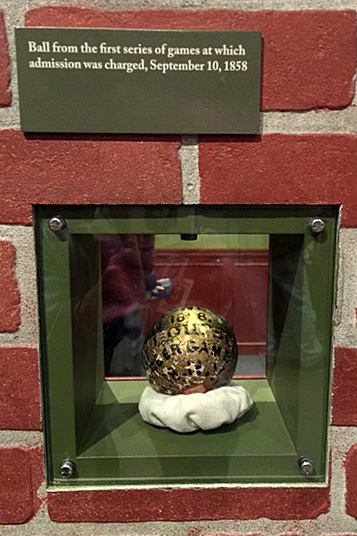 It was also the 1st time admission was charged to watch a game. 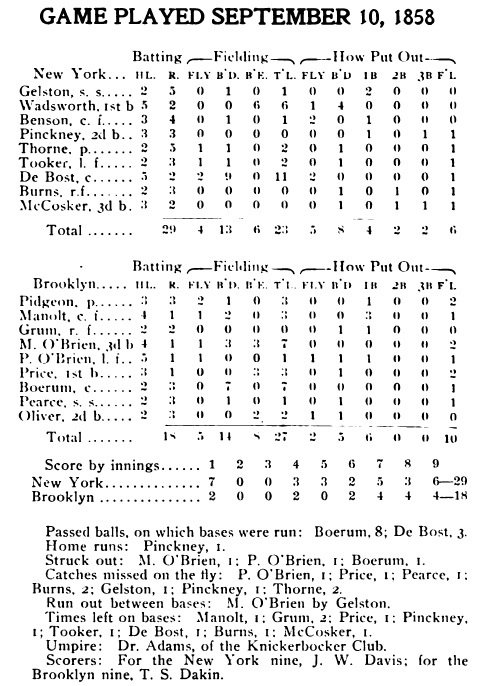 The following is the box score from the 3rd and final game, played on September 10, 1858. The umpire for this important game was none other than Doc Adams of the Knickerbocker Club. Doc Adams was selected to be the umpire for this third game of this first championship “series” New York vs. Brooklyn). At this game, he became the first umpire to call three men out on non-swinging strikes. This new strike rule had been passed earlier in the year by the rules committee which Doc chaired.